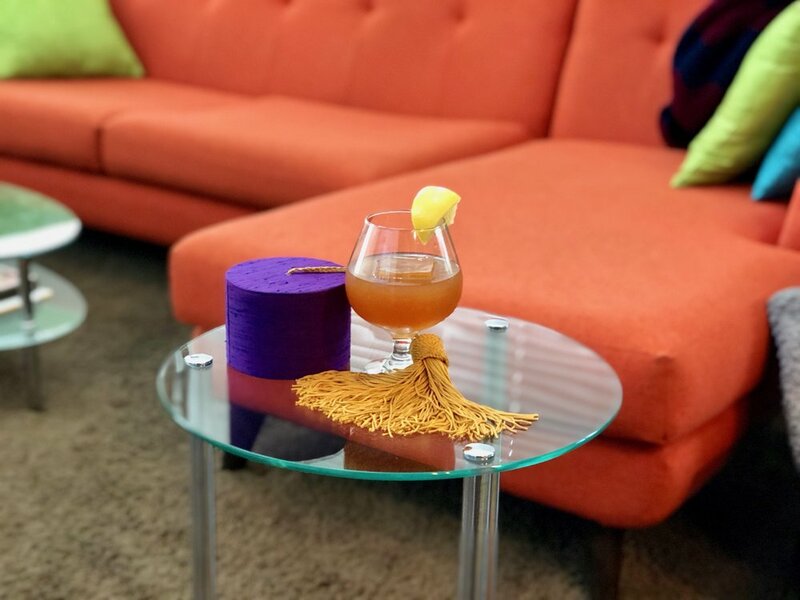 One of the best things about a lazy afternoon is sipping a refreshing cocktail to help the time pass by. Maybe watch an old episode of one of your favorite 60’s sitcoms. Mrs. Kravitz’ Daydream is a celebration of everyones favorite nosey neighbor from Bewitched. The poor woman was subjected to constant witchcraft, delusions and even an elephant or two. Though we don’t know if Gladys liked to tipple, we are certain this potion would have helped calm her mind after witnessing Darren and Samantha argue over one of Andora’s latest conjurings. Combine everything in a shaker with ice and shake lightly or stir well in a mixing glass. Strain into a fancy glass, with a single large ice cube or sphere. Garnish with grapefruit. Serve alongside your favorite fez.